JDH has been an amazing support for me with my new dog grooming business. I had struggled with my 1st tax return and made some errors. JDH were more than happy to make all amendments necessary and resubmit for me. They have provided me with guidance and advice. I would 100% recommend them to anyone considering to take the leap to have support from an accountant. Our Commercial Aircraft Engine Inspection and Repair business attributes its success to the help and guidance from JDH Bookkeeping and Accounting services. The family run business are always more than happy to offer advise in a friendly and prompt manner. We would highly recommend their first class service. We are a family run business, and have been with JDH for the past 7 years. We cannot say enough wonderful things about the level of support and service that we have from them, from Training on Sage to Accounting, Bookkeeping, Tax Planning, Payroll and everything else in between. They answer queries with exceptional knowledge, and always point us in the right direction. I have been with JDH for about 5 years now and I can honestly say that I couldn’t wish for better service. From start to finish nothing is too much trouble and the standard in all they do is excellent. You’re always made to feel welcome and everyone is approachable. Whether you’re a big or small business you won’t regret going to them, I certainly haven’t!!! Glyncornel Nursing Home, this has really been appreciated. there to help when needed. “I would like to sincerely thank you and all your staff including Nisha for once again an excellent service!! You guys were on hand to help us when we needed you the most today and I really feel that this is true testament to a great company! We have a similar relationship with our window supplier and we wouldn’t entertain using anyone else. All the information was provided promptly and at the last minute. “I would like to say how pleased we are with your service and particularly Heather’s hard work for us. Nothing is too much trouble for her and as you know we tried other accountants who frankly did not seem to give us answers and let our accounts get in such state. You guys have helped us in seeing where we are as a business which will help us increase profit margins and look at areas for improvement and cost cutting of the coming years. Heather has dealt with HMRC on our behalf which is hard work in itself and explained things to me that I would never have had from previous accountants. I have a clearer picture of everything now. My fear of accountants is right up there with the Child Support Agency. Having appointed Jackie as my accountant a few months back, I knew that the easy part was done but tackling my impending year end was the tricky part and in all honesty, I have been putting it off for a while. However, on visiting Jackie last week, I was put at ease and a number of points were covered. Jackie obviously knows her stuff and as a business, I look for the customer service over price and Jackie delivers in both areas. Not only have we got a plan to plan for the tax bill but I will also save money on a training course to teach me how to do my own bookkeeping. I would not hesitate in recommending Jackie in the future to anyone, even if they are receiving a good service already. We are now in our third year of using Jackie and her team as our Accountants. We are very pleased with the overall service, and as Jackie says either her or her team are always available at the end of the phone as when we need to discuss something. The advice we have been given on various questions and issues we have raised has always been excellent. More than that, Jackie has been pro-active in providing advice where we could save money, and therefore I have no hesitation in recommending Jackie and JDH for all your accounting needs. This is a short letter of thanks for the advice and assistance provided by Jackie and JDH over the past two years. As a new start business, the need for prompt and accurate accounts is critical, and in my mind such accounts highlight the reality on whether a business is viable, particularly in such a troubled economic climate. Jackie has provided almost immediate advice and assistance with a warmth and joviality which is rare in her professional field. The service received from JDH is first class and is highly recommended. I look forward to a long and prosperous relationship. Another year has passed and Jackie and her amazing team have completed my second set of accounts. This year I completed Jackie’s Sage training course, and although I still had to employ her bookkeeping skills to catch up on my back log. I can now do this myself going forward. Yet again I have benefited from great advice and a “first class service” and feel completely comfortable that Jackie is on hand whenever I need her. I wouldn’t hesitate to recommend Jackie or any of the staff at The JDH Group, especially to anyone who needs that bit of extra support and guidance now and again. I have used JDH since the very start of NF Branding, back in 2011. Jackie’s professionalism and help has been second to none, that goes for the other members of staff too, and it’s been great working with them. Jackie has guided and pointed me in the right direction from the word go and to be honest I wouldn’t know where I would be without her! Not only has Jackie saved me money by becoming my accountant, I have also been on a Sage course, that was recommended and taught by her and I am now able to complete my own bookkeeping which will save me more money again. I wouldn’t hesitate to recommend Jackie to anyone. First class service for first class clients sure does live up to its word. I would like to thank Jackie and her staff at JDH for being so fantastic. JDH have looked after me for 4 years and as my business has grown, JDH have tailored their service to me. I sent over all of my bank statements and receipts on a quarterly basis and always know where I stand with my accounts and tax. As a financial adviser, I also have to complete 6 monthly reports which JDH helped me complete. JDH are always happy to answer any queries and I always feel secure that you are only a phone call away and always return calls promptly if a message is left. I am always confident in your work and as a result have been more than happy to recommend to you a number of friends, work colleagues and clients. Thank you for being so fantastic. I have been on JDH’s classroom training courses and had one on one training to do my own bookkeeping. I have always had help and support when needed, always at the end of the phone. It’s a relief to know that someone with the right level of expertise and knowledge is there to ensure I don’t make any mistakes. We use JDH as our outsourced finance department. This takes away the headache of keeping on top of paying suppliers, payroll, generating reports and invoices, ensuring that we get paid for our work whilst leaving us free to get on what we do. The staff are friendly, efficient and trustworthy which is essential when trusting your internal finance data to someone else. 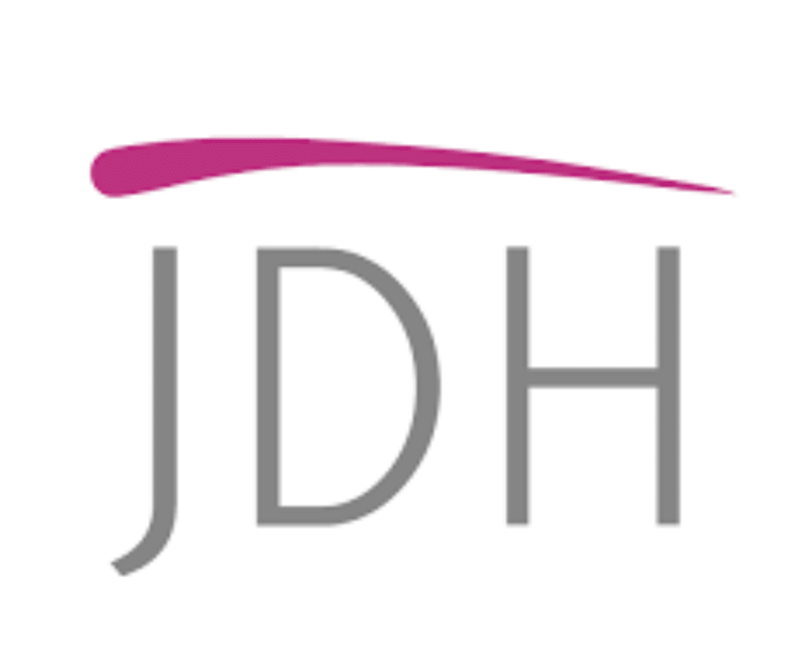 I would recommend JDH to anyone who does not have time to deal with their accounting system or needs to improve how they use it.